Did you know that you could receive both in-person and online parenting & mindful communication support from the comfort of your home/workplace even if you lived as far from Istanbul as Australia? “Words are not enough to express my gratitude. 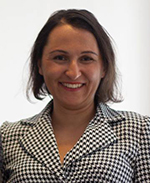 How my life magically transformed after just one session is unbelievable!” Pelin A, Lawyer. “Any interaction with Aslıhan feels like being in contact with your center. Seeking her guidance is an experience that will connect you with your core once again.” Ayca Yılmaz, Doula, Hypnobirthing /Yoga Instructor & Founder, Annezen. “Aslıhan warms my heart with her compassionate guidance” Gizem Onay, Childbirth-Yoga & Pelvic Health Educator, Arvigo Therapist, Luna (Ankara) Founder. "Five days ago I met with Aslıhan Onaran because I felt, again, overwhelmed by motherhood. My 3,5 year old boy had been whining for 2 months, had many temper tantrums and I felt myself out of patience...Aslıhan helped me understand where the behaviour came from and how I could solve it. She also reminded me how to talk during whining and temper tantrums. Well... I am so glad! I got results from that evening onwards! The following day my boy woke me up with kisses and a smile instead of a whine. And everyday has been smooth and positive. Happiness! I like Aslıhan's hands-on advice. She doesn't talk and you listen. She is not the fixer, YOU are! She makes you feel empowered so that you can embrace being a mom. I cannot recommend her highly enough! (Melody De Visscher Buyukkaraca, Breastfeeding Counselor) After a Positive Discipline session. “We had a rough start with our allergic baby. Feeling better and finally attending to our own wounds began only after we crossed paths with you. Thank you!” Online Coaching, Gözde-Mercan’s mom, Spain. “Dr. Aslıhan Onaran is enlightening Joimove families all over the globe, with her Attachment Parenting support.” Selen Yılmaz, Founder- Joimove International, Scotland. 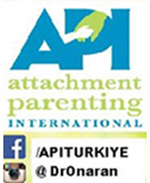 "I have found Aslıhan's parenting support incredibly valuable and highly recommend her as a fantastic coach. Her coaching truely transformed our family's dynamic. I came to Aslıhan after a particularly tough transition to Istanbul, in which all consistent, disciplined parenting went out of the window. Aslıhan compassionately and expertly helped me pick back up the pieces. Her style is empathetic and understanding - she creates a trusting, open environment in which I felt safe and could admit my rather horrible parenting disasters. She was non-judgmental in her responses. Aslıhan helped me step back from the individual "problems" to look holistically at the sort of parent me (and my husband) wanted to be, and from there, we worked on specific situations that were important to me. Aslıhan brought in some really helpful theory and concepts on occasions where helpful, but mostly helped me to draw on the resources I have within me, to be the sort of parent I wanted to be. I've seen such improvements in how I manage difficult situations. And the frequent touch online support and email check ins she makes available meant I had someone to turn to to both celebrate the successes, and to reframe when things didn't go so well. And what's also amazing is that my husband joined for one session, and so enjoyed her style and approach that he has also continued to come to sessions and together we've been jointly parenting, despite starting from very different approaches. I highly recommend Aslıhan as a fantastic coach!" Mary, A busy part-time working mum of 4 young children. “Success within our parenting and relationship roles is the foundation to success in every area. We are educated in many fields, yet being a good parent is possibly the most important job we have and also the one that we are the least prepared for. While simply rearing a child is in itself a challenge our goal should be to rear new generations of truly capable, healthy, happy and constructive human beings. “I want you to know that you have had a powerful positive impact on me and on us as a family. The lessons I have learned through working with you, have been tremendously important. I understand now that the core of it is to provide a safe, positive and loving environment. You have taught me that I am actually a good mother and that my intuition knows what to do--I just need to trust and be in my power, in my mindfulness. On a practical level, my baby’s eating & sleep is going great, and I am also teaching him baby sign language. You have grounded me and have been an incredible resource in what was a time where I was spiraling in the wrong direction. I am now focused on the present. I can't thank you enough. Just know that your compassion, expertise and presence really made a difference for us.